Global warming worked for a couple of years, because we were able to golf year round. However, they are now calling it global climate changes, and the last two years has resulted in more snow than the last 5 years. 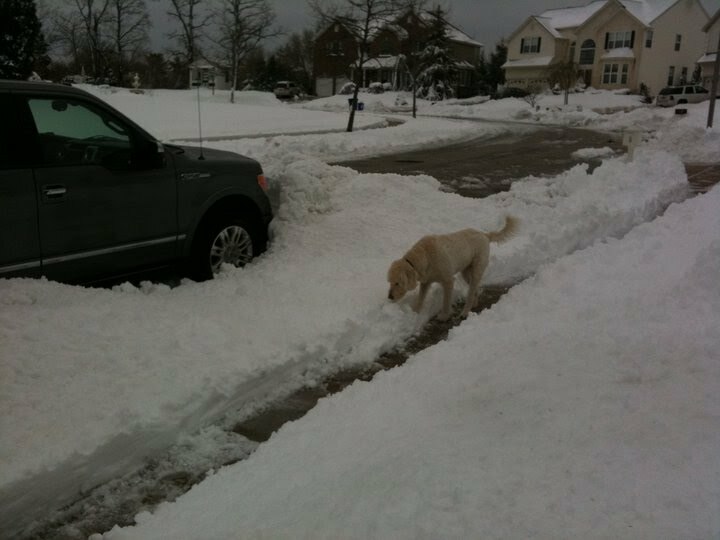 Here, the snow is piling up around my truck and Quinn can't find the grass anymore.